In many North American indigenous cultures, ecological restoration is not solely about ecology. It is often linked with efforts to regenerate traditional food ways, cultural practices, and in some cases, a modern economy with ancestral roots. This issue of Leaf Litter was originally envisioned as an exploration of ecological restoration on Tribal land. What are the regulatory layers and how do they intersect? How does traditional ecosystem knowledge inform the work? In what ways do tribal approaches to this type of work differ from the typical approaches? 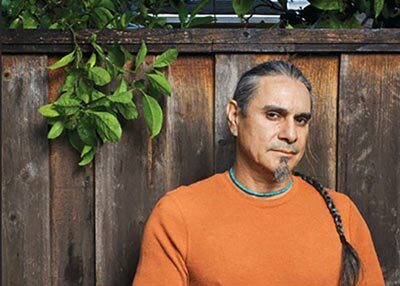 What advice might tribal leaders have for “outsiders” hoping to work with Tribal communities to help protect and restore ecosystems. But as I looked into ecological restoration projects initiated by indigenous communities—mainly in North America but also elsewhere—I realized that for most of these communities, the projects were not solely, or even necessarily, about ecological restoration. They were about regenerating traditional foodways, cultural practices, and in many cases, a modern economy with ancestral roots. I began to wonder, what might we learn from such indigenous wisdom and innovation? At that point, the direction of this issue shifted toward that question. It would be impossible to examine the integration of conservation and ecological restoration in every initiative of the world’s 5,000+ indigenous cultures. With the exception of one article, we have chosen to narrow our lens to North America, and to highlight just a handful of the hundreds of indigenous-led projects that, in the process of addressing issues such as food sovereignty, economic development, job creation, sustainability, health, and cultural resilience, are improving local and regional ecology. We begin by chatting with two experts on the intersection of ecology, economy, and culture. 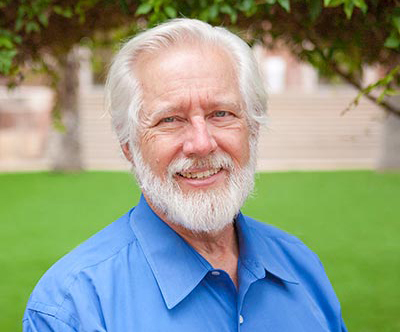 Dr. Enrique Salmón is an ethnobotanist, educator, author, and Rarámuri Indian who coined the phrase “kincentric ecology.” He discusses the connection between traditional food ways, culture, and ecology, and he shares examples of indigenous innovation based on long-term knowledge. An economist, educator, and member of the Confederated Salish and Kootenai Tribes of the Flathead Indian Reservation in Montana, Dr. Ronald Trosper shares insight into the ways Native people define economy, and the challenges of holding an indigenous mindset within a market system. Next, we highlight inspiring examples. From indigenous communities along the coast of the Salish Sea comes a potential model for food security, cultural reconnection, and sustainable coastal land management. We discover the ancient practice of building “clam gardens,” and learn about recent efforts to revive it in Canada. 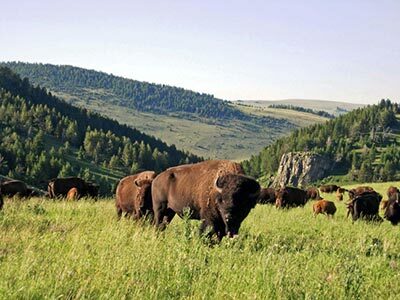 By the late 1800s, both the indigenous people of the North American Plains and the buffalo on which they depended (Bison bison) were nearly brought to extinction at the hands of European settlers. 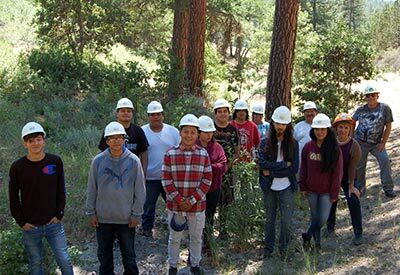 Today, they are beginning to thrive together again on tribal land thanks to restoration efforts. Biohabitats intern and Cornell University graduate student, Andrew Berger, reveals how the Blackfeet Nation is using community-based water infrastructure planning to address range land management, agricultural production, ecological conservation, trans-boundary partnerships, and economic growth. 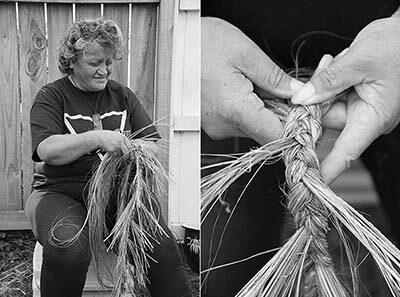 For some perspective outside of North America, Jennifer Dowdell takes us to Auckland, New Zealand, where “mātauranga”—traditional Māori knowledge–is informing the restoration of mussels in Ōkahu Bay. 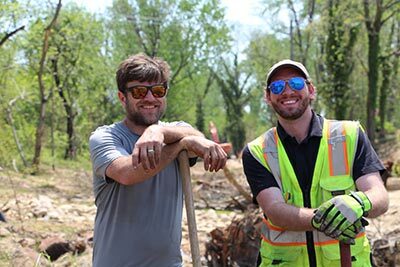 Leaf Litter’s Non-profit spotlight shines on Lomakatsi, an organization that is bridging culture and community through ecological restoration and its Tribal Ecosystem Restoration Partnership. Those interested in exploring this topic further can check out our list of resources, which includes many of the books, studies, organizations, and web sites that were used as references for the articles in this issue. As always, we share the latest news about Biohabitats’ projects, places, and people. I hope you enjoy this issue. If you have thoughts to share, or ideas for future issues of Leaf Litter, please feel free to contact me.